Come out of hibernation and celebrate that spring is in the air! The Revelation Creative team is ready to help you make connections in 2019. 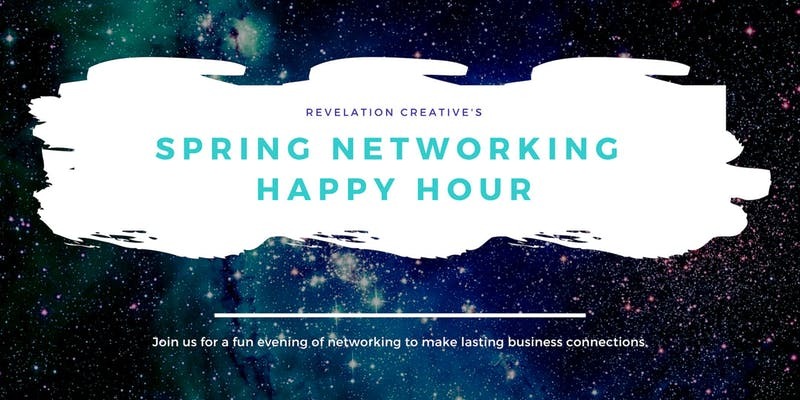 We’ll be kicking off our Happy Hour networking with a fun ice breaker to help you get the most out of mingling with our clients, colleagues and guests. Our event photographer will be snapping shots to capture the laughter and good times. Admission is free! All are welcome to invite additional guests. Light fare will be served and the cash bar will be stocked!